ECV Wall Of Comparative Ovations. to California during the early days of the Great Gold Rush. who has graciously allowed us to include his article on our website. "The pioneer spirit of these Zumwalt's is fantastic. of my ancestors was a store keeper on the frontier. the French with the poor booze or the American frontiersmen. My Zumwalt saved the day with some really good booze. Clamper story doesn't it?" - Russ. As a descendent of Nancy Ann (Zumwalt) Bailey and Peter Bailey, I have wondered for years about them but I could never find the time to further explore who they really were, where did they come from, and try to generally understand them more. As a child of maybe 3 or 4 years old, I can remember talking to this wonderful old completely white haired lady, Malvena (Baker) Johnson Gregg, my great grandmother. She was born Feb. 25th, 1864 at Dixon, California. At the time when I met her, she would have been about 74 or 75 years old. This meeting took place at the home of her daughter-in-law, Edith Johnson south of Bakersfield, California. Edith was the wife of Ray Johnson, my grandmother's brother. Edith was the child of Malvina's sister, Mary Louiza; therefore they were first cousins. I do not remember many of the details but I do remember vividly her telling about her mother's family coming to California. Crossing the plains, the Indians and the trips that her mother, Mary Ann (Bailey) Baker had made down to Nicaragua and the Isthmus of what is now Panama. She told of their going overland by mule, taking a ship to the East Coast and then a train back to Illinois. Then she told of the trip back to California by covered wagon. My later research has proved all of this to be true, but I am getting ahead of my story. I guess it was at this tender age that the seed was planted for me to learn more. I am just sorry that it took over 60 years for it to fully germinate. During those years I would ask some questions and I would get some answers from my grandmother or my mother. They both didn't have much information or details and no real documentation. I only took their information in as family lore and failed to dig deeper. It is only in retrospect that I now know some of what they told me was correct and some had strayed a bit from the actual story or more likely I didn't clearly understand what they had told me. One of the items they had told me was that Nancy Ann and Peter Bailey, my GGG Grandmother and Grandfather were mentioned in the "Shirley Letters, From the California Mines, 1851-1852." This book was a compilation of letters written by Louise Amelia Knapp Smith Clappe. 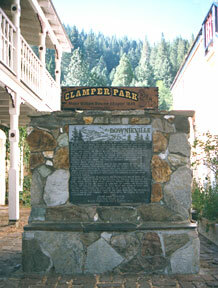 Two of the letters were written when the writer was at Rich Bar on the Feather River in 1851. Early editions of the book only gave reference to a Mr. and Mrs. B. None of the footnoting gave their full name. I read the letters with interest, but I could not verify that this was my Nancy Ann and Peter Bailey. One day when I was at the California State Capitol on business, I wandered into the bookshop. I found a new edition of "The Shirley Letters" which was augmented by a lot of research and was edited by Marlene Smith-Baranzini. Heyday Books in Berkeley, California published the book. This edition clearly stated that the Mr. and Mrs. B. mentioned were Nancy Ann and Peter Bailey. References to them can be found on pages 21, 34, and 35. I now had a piece of solid evidence to go on. My mother and grandmother both passed away in 1985 and my source of first hand family information was lost forever. I regret that I didn't take more time and make a bigger effort to obtain more information and clarify what I had been told. My father passed away in 1999 and in going through his effects, I came across a document on the ancestry of another branch of the family. This branch however, started also with Nancy Ann and Peter Bailey. In this document, I found that her father was a Tom Zumwalt. In reflection that was a big clue and I overlooked it for I found out latter that the "Tom" was incorrect and his name was "Joseph" At about the same time, my wife mentioned that she had seen written down somewhere, when looking through my mother's bible, that they had come from Will County, Illinois. My earlier attempts to find more about them on the Internet were not very successful. I was searching using the names of Nancy Bailey and Peter Bailey but with this new information I located through the Internet the South Suburban Genealogical and Historical Society located in South Holland, Illinois. I asked for their help and they responded at once. They told me of a book which I could purchase entitled "Will County on the Pacific Slopes, an Historical Sketch" written by George H. Woodruff in 1885. The book recalls much of who went West from Will County and their stories made up of recollections and letters sent home to Will County. 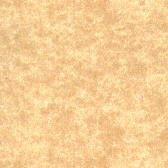 The document was ordered and received. It contained a large number of references to the Zumwalt and Bailey families and was a wonderful collection of information of what went on with these hardy pioneers. It also uncovered that Joseph Zumwalt was one of my ancestors. Gold was discovered at Sutters Mill near Coloma on 24 January 1848, but the discovery was kept a secret for some time. It was not until December 1848 that the discovery was officially announced in Washington, DC. There is no evidence as to when word actually reached Will County, Illinois and Joseph Zumwalt, my distant Grandfather (5 times back). Historical records show however that speculation was running very high in the fall of 1848. 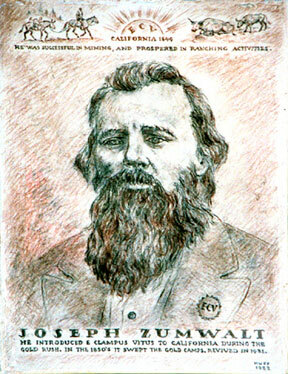 Having learned of the discovery he and his brother Jacob Zumwalt and others in Will County apparently made plans quickly to go to the gold fields. The first people across the plains in this rush to the gold fields did not have much time to plan and get ready for the arduous trip such as they faced. 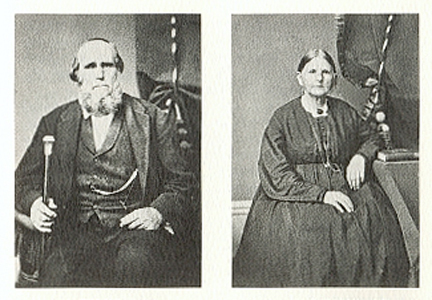 Joseph, his wife Mary (Ogle) Zumwalt, three sons, Jacob, John and Daniel, and Peter Bailey and his wife Nancy Ann (Zumwalt) and their daughter Mary Ann, then about 4 years old were among the first across the trail in 1849. A wagon train made up of Will County pioneers left on the 9th of March 1849 from Joliet, Illinois. Many groups arriving in St. Joseph, the main jumping off place for the Overland Trail at that time, were greeted with a smallpox and cholera outbreak. Most hurried to get away from the sickness and set out early for California. Record show however that many pioneers did die along the trail from cholera. The early start, and passing quickly through St. Joseph was probably beneficial as they were among the first over the trail, feed for the stock was becoming available and had not been eaten down by the hordes that followed. 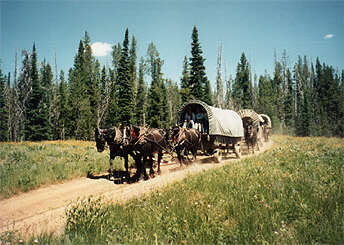 The trail still had not been ground into dust by the constant travel of the wagons over it, and thus they probably escaped much of the choking dust that later travelers complained of. The group finally reached California on 5 September 1849 and over the next month made it on over the Sierra Mountains finally arriving in Sacramento City on the 23rd of October 1849. Reports are that the "Will County Boys" lead by Joseph Zumwalt, then 49 years old set off at once for the mines. Mrs. Zumwalt and Mrs. Bailey and daughter, Mary Ann Bailey remained behind. The women started a rooming house which became the meeting place for the Will County immigrants. Joseph and Mary Ogle Zumwalt - 1849. It appears that the rooming house remained the meeting place for some time. Joseph Zumwalt was relatively successful because he came down from the gold fields, and early in 1850 when he was asked about his worth, he stated "that it is about $25,000 plus the house and lot." Gold was the main medium of exchange at that time, and the value was set at $16.00 per ounce. At today's value for gold, his $25,000 would be worth close to half a million dollars. He also stated at the time that there were hundreds of mining areas that didn't have enough gold to exist on. He continued to work the mines and became somewhat of a celebrity He is credited with a major strike at a location, which was called Zumwalt Flats where he gained more wealth. 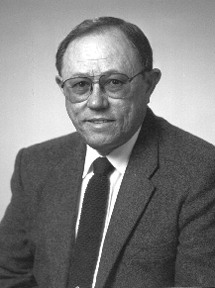 Public records show that he acquired a number of choice pieces of property in the Sacramento area. 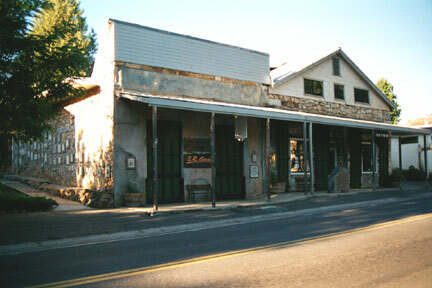 As an example the records show that on 4 June 1850 he acquired property which, today is the center of the business district in Sacramento. Meanwhile Peter and Nancy Anne continued to seek their fortune in the diggings. They were at Rich Bar on the Feather River in the summer of 1851. Rich Bar, which today is but a wide spot in the river, was at that time a rough and tumble place of over 4,000 people. Nancy Ann was always helping and caring for the sick miners and she became know affectingly by them as the Angel of the Mining Camps. While they were there, another daughter was born to them; Harriet Adelia Bailey. According to a record from Will County, she died about two years later of smallpox in Sacramento City on January 25th, 1853. Nancy Ann Bailey became ill and died 30 September 1851 of apparently a ruptured appendix. She is buried in a pioneer cemetery near Rich Bar and her gravestone is still there. Various writings have spelled Nancy's middle name as Anne. Since her gravestone says Ann, I have chosen to use that spelling. One story is that the miners were saddened greatly by her death and gathered money to have a gravestone made. Such an item was not to be had in California in those times so they ordered one from back East. 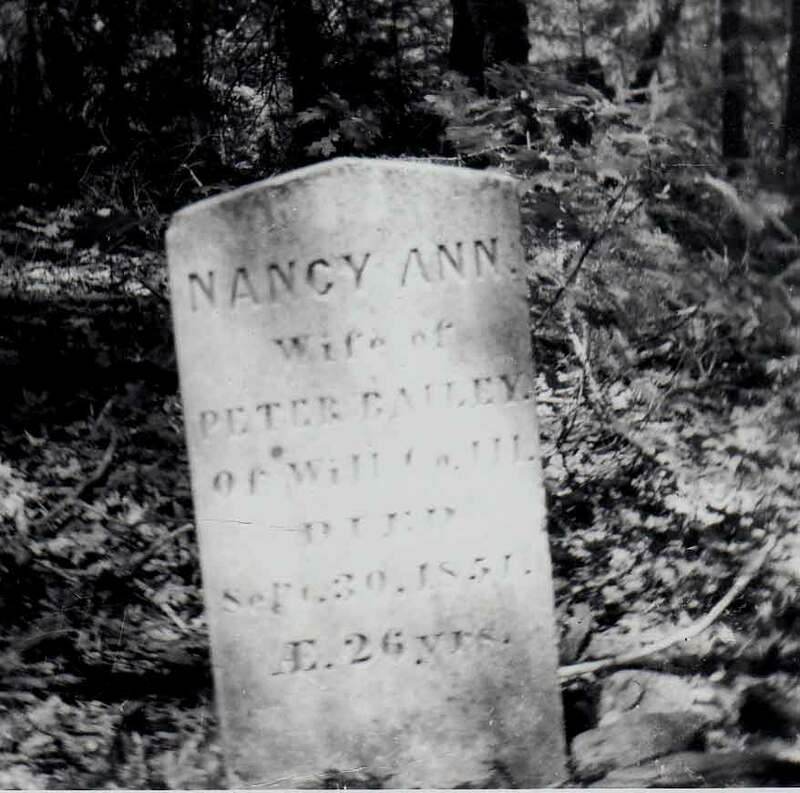 The Native Daughters of the Golden West also placed a monument in the cemetery to honor the pioneers and also to give recognition to Nancy Ann Bailey. *This spelling is questionable, it should have been Mary Louisa. Joseph continued to return to the mines from time to time while continuing to raise stock. In 1859 he and his wife went back to Illinois by way of Nicaragua and New York. This time the return trip was by ship rather than covered wagon. He decided to give up farming and concentrate on ranching, raising good-blooded stock. In Illinois, he bought the stock and bees. The blooded stock and 150 stands of honeybees were shipped first by rail to New York and then by ship back to San Francisco. Ship manifests in the New York Times of 21 October. 1859 show J. Jumwalt (obviously a miss-spelling) and wife, on the passenger list for a ship bound for Nicaragua. They moved all of their stock and bees across the isthmus, where they then boarded another ship, which arrived in San Francisco on 11 November 1859. 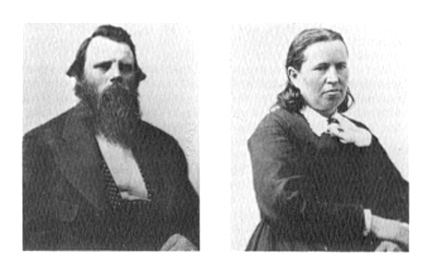 Joseph and Mary Ogle Zumwalt - 1859. In the 1860's Joseph sold many of his holding in Sacramento and moved to Vacaville, Solono County, where he purchased property and engaged in raising stock and honey from the bees. He sold his property in Vacaville to his son Joseph, Jr. in 1870 and moved in 1872 to Colusa County and bought property. That property is now in the boundaries of Glenn County. He sold that land to his son Daniel Zumwalt who gave Willows 160 acres for a town site, Willows was founded in 1876. The 1880 census for the 92nd District, Shasta County, lists Joseph Zumwalt, his wife Mary Zumwalt and their son Jacob Willard Zumwalt and family living nearby. Mary Ogle Zumwalt died in Anderson, Tehema County, California on 2 November 1885 at the age of 80. Joseph Zumwalt Died in Anderson on 23 July, 1892 at the age of 92. Both are buried in lot 169, Old Helvetia Cemetery, Sacramento. At this point, the final resting place of both becomes very confused. The New Helvetia Cemetery was an un-endowed cemetery meaning that no funds were set aside for its upkeep. The cemetery was first managed by private individuals, and after that, the City of Sacramento assumed responsibility. The cemetery was closed to burials in 1922, and four years later converted to a park. All the upright markers were removed and concrete flat markers were installed. In 1952, the City of Sacramento needed a junior high school site, so it was decided to abandon the cemetery. From here, the story becomes even more confused. The City thought that there were less than 1,000 bodies to be moved to either East Lawn Memorial Park or to City Cemetery. They actually found 5,235 bodies. The burial records were very incomplete so identification of the remains became impossible. 410 bodies that could be identified were moved to City Cemetery but the remainder had to go to a mass grave at East Lawn Memorial Park. Today a mass grave exists there in a space about 150 feet by 150 feet. Minimal markers tell what exactly happened. All of my attempts to find if Joseph and Mary Zumwalt's bodies were relocated have been unsuccessful. They are likely in that mass grave with some of this state's early pioneers. A search of the Internet has shown that Joseph's ancestors were first noted in Switzerland in 1624. A clear ancestral and geographical trail shows them going first to Germany then to the United States in the early 1700's. Much more work will be required to fully document this history but the data available verifies Joseph's and my ancestors trek westward. One piece of history about Joseph Zumwalt I found was that he founded in California, the organization known as E Clampus Vitus. "The Ritual of E Clampus Vitus" was published in the Bowling Green Journal in Pike County, Missouri. Joseph apparently obtained a copy and brought it West and is credited with bring the organization to California. A couple of attempts were made to start chapters and failed, but the first chapter, ECV Lodge No.1001, was started at Mokelumne Hill in September 1851. The organization, essentially a philanthropic and humorous order, was basically a spoof on the more formal fraternal organization present at the time such as the Masons and the Odd Fellows. The organization spread quickly through out the camps and chapters sprang up. E Clampus Vitus, along with its happy-go-lucky nature was also know for the good things it did for widows, orphans and the down on their luck miners. Almost all of this was done quietly and with out any reservations. The organization was very popular and reports are that you better join the Clampers or others would not do any business with you or have much to do with you. The organization became defunct in the late 1800's, but was revived in the 1930's and many chapters are once again active across the West. Much of the lightheartedness and traditions of the early Clamper miners in the early 1850's are once again practiced by the present day group. As a spoof for the fine regalia some of the other organizations used, the Clampers tried to poke a little fun at it. One item is their tradition of making and wearing medals out of tin can lids complete with brightly colored ribbons. It is called "wearin' of the tin." Today, the organization continues to keep the history of the gold fields alive and works on placing monuments at historic places. Zumwalt plaque in Clamper Park. Now for some information on who Joseph's and my ancestors were. A wonderfully complete book, published and copyrighted March, 2000, entitled "One Zumwalt Family" which was compiled by Helynn M. Carrier, was found in my search for more information, This book in detail chronicles the ancestral lineage of the Zumwalt family. I have taken the liberty to extract the information that pertains to my ancestors. To do this we must first go back to Europe to note the earliest reference to the family. One must realize also that family names were not always spelled the same each time. Many times they were spelled phonetically and recorded by someone else. As some examples, the name Zumwalt was Zumwald in Europe. I have even found references to a spelling of Somwalt and Somwald as examples. Census records in this country are great examples of wrong spellings as the census takers recorded what they heard, and many times did not ask for any written identification. From the initial immigration to this country by Andrew Zumwald and his family, over 40,000 connections have been identified. The Zumwalt's were extremely active and spread out across the country. They were very much a part of the history of this expanding nation as were other well-known hard working families. Early Zumwalt descendents fought in the Revolutionary and the French Indian wars. There is records showing Zumwalt's marrying into Daniel Boone's family. Zumwalt's were active in the settlement of Texas and in their fight for independence from Mexico. In many aspects, the Zumwalt family is an outstanding example of the principals which made this country great. I am proud to be a small part of this legacy. - Johan Welhelm Andrew Zumwald who came to America at age 39 arriving the 24th of September 1737 aboard the good ship "Virtuous Grace", John Bull, Master. The ship's manifest shows a total of 225 passengers but only males over 16 years of age are identified. It is assumed that his wife and three daughters accompanied him. The family settled in Pennsylvania in 1737, only one year after the William Penn family and the Indians had signed a treaty. - Jacob Zumwalt who was born in 1772 or 1773 and died Hancock County, Indiana or Will County, Illinois. He is probably the Jacob Zumwalt who with Anne, his wife, sold to Dan'l Amen (of Botetourt County, Virginia) at Highland County, Ohio on 5 November 1807, 160 and 2/3 acres of land. They had purchased this same property on 4 December 1805 from William Barlow of Harrison County, Kentucky. - Joseph Zumwalt who was born in Boone County, Kentucky on 15 July 1800. He died 23 July 1892 at Anderson, Tehema County, California. He married Mary Ogle who was born in Adams County, Ohio on 24 June 1804. She died at Anderson, Tehema County, California on 2 November 1885. They are both buried as previously noted at the Old Helvetica Cemetery in Sacramento California. My ancestor from this marriage as previously noted was their daughter, Nancy Ann. - Mary Ann Bailey who was born in Will County, Illinois in 1847 and died at Bakersfield, California on November 24, 1931. After her mother's death in 1851, She, along with her younger sister, was taken to live with their grandparents, Joseph and Mary Zumwalt. Her sister Harriet died of smallpox in 1853 but Mary Ann continued to be raised by the grandparents. She apparently was a favorite of Joseph's because he left a share of his estate to her upon his death. She lived with the grandparents until she married Roland Thomas Baker who was born 14 January 1835 in Clark County, Illinois and died February 4, 1935. In an interview with the Bakersfield Californian newspaper near his 100th birthday, he noted that he cast his first vote for Abraham Lincoln and he stated that he had voted for over four-score (80) years for Republican candidates. - Malvena Baker who was born at Dixon, Solano County, California on February 25, 1864 and died in Bakersfield, California February 14, 1942. She married the first time to John Abner Johnson who was born July 8, 1864 in Winters, California, and who died March 25, 1937 in Long Beach, California. His family name was Johnston but he chose to drop the "t" from the name. Malvena and John divorced and when she died, her married name was Gregg. They had ten children, one of which was my grandmother. - Ruth Goldie Johnson born Bakersfield, California March 17, 1896 and who died December 30, 1985. She is buried in Visalia, California. My grandmother first married a Mr. Haden but he was killed in an oil field accident during their first year of marriage. She next married Bernard Pierre Sartiat. They had one child, my mother. - Esther Louise Sartiat was born in Reno, Nevada October 27, 1915 and died January 7, 1985 at Morro Bay, California. My grandfather was there managing the Mapes Hotel for a short while, and my grandmother came to visit. It was while there in Reno that my mother was born, and as such was not born in California, which was a scant 15 miles or so to the West. My grandparents and my mother returned to Bakersfield, California shortly after my mother's birth for my grandfather to manage the hotel and business interests in East Bakersfield of my Great grandfather. My grandfather died in the influenza epidemic in 1917 and my grandmother remarried. My mother married on November 2nd, 1934 Roy H. Robinson who was born in Texas and who died at Poulsbo, Washington. - This entire trail finally leads to me, Russell Henry Robinson. I was born in Bakersfield, California. I married on December 19, 1959 Norma C. Francis who was born at Tulsa, Oklahoma. certainly is subject to additions and changes as I find more information. Visit Bill and La Vonne Lee's website. Main Street and Sheep Ranch Road. Museum open Friday, Saturday, and Sunday.